This BEAM (post) was inspired by a friend on twitter today, who asked me a question. I have misplaced better artwork of the flow-chart in this article. But I will locate it soon and replace this poor artwork and expand the article’s content, in the future. The point of this writing is to provide a couple of simple, effective tools to help with figuring out you own answers, in a troubling situation. I love to help people. Sometimes, when I do not understand the specific circumstances of someone’s problem enough to give a targeted answer; I can still offer some general guidelines to help them find their own answer, for themselves. 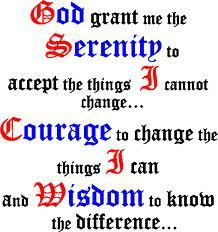 As many of my reader’s know, I live in a daily personal application of the serenity prayer below. The concepts in this little word of wisdom are literally so profound that they can give you a powerful tool, to analyze and deal with every troubling situation that you face. I tried to think of a way to help people better personally apply this simple but important thinking to their lives. 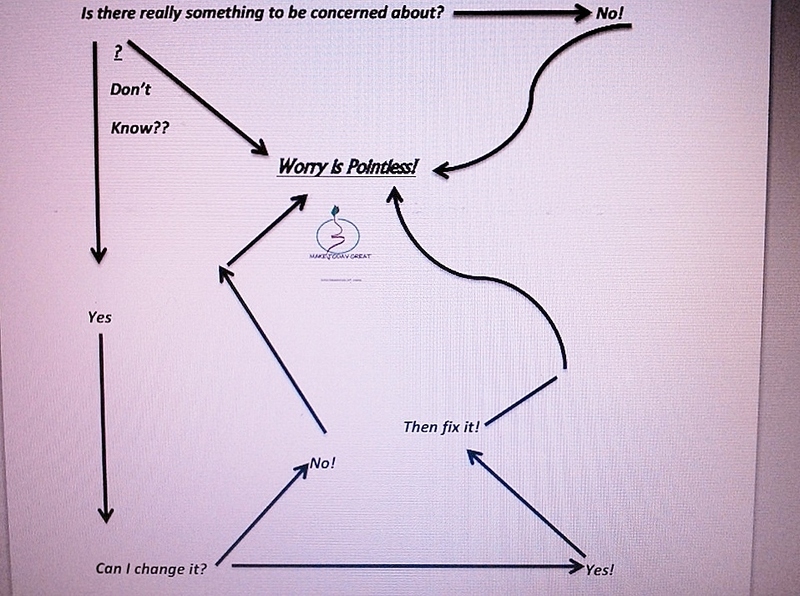 And so, I came up with this flow chart to help people see the futility of worry about any situation. Worry is always pointless. And We are more empowered most times, than we think we are. If we can not alter or influence a situation, then fret is a needless, unproductive state of mind. If we truly can change a troubling situation, … the concern need only be how to produce and implement an effective action plan, to repair the problem we face. Often, we are lulled into inaction on problems we might change, because we are dwelling on too many things that require acceptance, not courage. On the other hand, when we are realistic enough to accept what we can not change. It leaves us with more energy and effectiveness to make a difference, in the matters where we can influence the outcome! Nearly every situation that causes us to fret and wonder what to do, can benefit by applying the Serenity Prayer thought model. And the simple steps in my “Don’t Worry Model.” Try working these two simple thought models into situations where you seem stumped. You may be closer to an answer than you think! Sonam, I hope this helps in your situation. 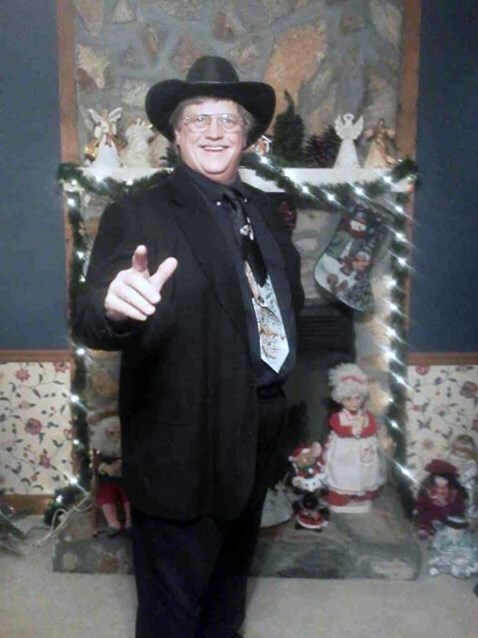 This entry was posted in Face Page, General Subject Posts, Slamism, Work Related and tagged flow chart, mental-health, peace, personal growth, serenity prayer, Simplicity, Slamism, Worry. Bookmark the permalink.